Prices effective from 23 October 2018. GST included. Air experience flights (AEF) and introductory packages can be purchased either via a gift voucher or by paying cash on the day you fly. $400.00 3 flights on the same day, depending on conditions. You will start learning to fly. $1000.00 10 flights within a 3 month period. Includes 3 months membership of the GFA and the club and a log book. Not enough to go solo without prior experience but you should be well on the way! Aerotow only. Launches are charged on height. $41.50 to 1500ft then approximately $15.25 per 1000ft charged in increments of 100ft. Club gliders are hired at a rate per hour (charged by the minute) capped at 4 hours of each flight. Bulk flying is available to members for an annual charge equal to 15 hours at the base glider rate after which flights are charged at 25% of the rate for the glider being flown for unlimited hours within the current financial year, also capped at 4 hours per flight. Private gliders are not cross-hired. Visiting pilots from other clubs pay the same flying fees as members. Overseas pilots must join the GFA before any flight in a glider. (This can be arranged at the club). Friends and family of club members pay club rates + the GFA Introductory Membership ($40.00) if required. Instruction is free - you only pay for the launch and glider hire. The club membership year is July to June. If you join part way through the year, a pro-rata scale is used. 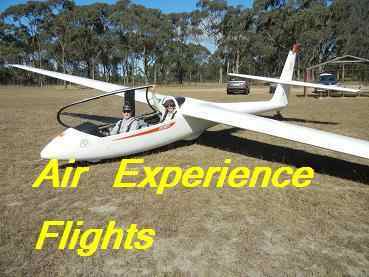 You also need to join the Gliding Federation of Australia but there is a link to their membership page when you join the club. GFA membership is 3 months (once only) or 12 months, starting at any time of the year. New members wishing to learn to fly may start with a 3-month membership if desired or full membership. (3 month membership is available once only for Australian residents). "Young adult" for GFA membership means a full-time school or university student under 26 years old. ("Full-time" means at least 20 hours per week of formal classes). The club however offers "Young adult" membership to all who are less than 26 years old. Complete the GFA membership application at GFA membership application. This page also includes the various GFA fees. Free on weeknights for club members.